The half-Dominican/half-Italian southerner sketches a claim as a breakout Americana soul-singer with crossover potential. Soul music, especially of the classic variety, can roughly be divided into Northern and Southern styles. It may be a simplistic and not entirely scientific distinction but the smoother, more commercial music of Motown and Chicago is contrasted against the tougher, grittier, rawer approach of Southern soul emerging from the Stax and Hi labels and others. It won’t take long to slot Liz Brasher’s impressive debut in the latter category, especially because she records for the bluesy Fat Possum imprint. It’s little surprise that Brasher has spent most of her life in the South, born and raised in North Carolina, now calling Memphis home. The singer-songwriter released a well-received six track EP in 2018 that helped land her opening slots with diverse acts including the Psychedelic Furs and The Zombies. Two tunes from that harder-rocking introduction are repeated here, along with nine new compositions that find Brasher moving in a darker yet more soulful direction. Opener “Blood Of The Lamb” sets up a sparse guitar lick counterpointed by crisp horns in a spiritually based swamp burner with Brasher’s husky voice leading the charge. Members of Memphis’ retro-leaning Bo-Keys with veteran keyboardist Al Gamble lay down the limber grooves as Brasher unleashes her sensual, supple voice, splitting the difference between Dusty In Memphis-styled pop (“Every Day”), upbeat Sam & Dave-influenced gospel laced R&B (“Living Water”), and Steely Dan-ish jazz/pop, some with religious overtones (“Hand To The Plow”). Nothing breaks four minutes which keeps the music short, tight and forceful without extended solos to distract from Brasher’s bellowing, throaty voice. When she hits a slow Otis Redding ballad vibe on “Cold Baby,” aided by a five-piece string section, and sings, “My flesh has been aching/ My world has been shaking” to a lover “with a “heart made of stone” that she knows is no good for her, the effect is galvanizing. She’s determined to cement a relationship on “Heaven & Earth” (“Let’s rock this/ Let’s roll/ You know I’d follow anywhere you go”), singing with the intensity and determination of a woman who knows what she wants and how to get it. Scott Bomar’s distorted guitar provides the basic riff for “Body Of Mine,” a tight slab of funked-up soul as Brasher sings, “One day I’m gonna be somebody/ Walk into the light” with forceful fortitude. 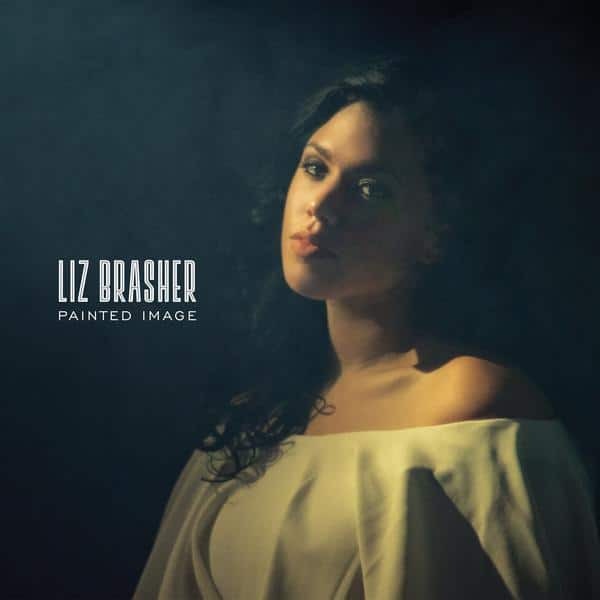 It’s still early in 2019, but with the striking, often churchy Painted Image, the half-Dominican/half-Italian southerner Liz Brasher sketches a claim as a breakout Americana soul-singer with crossover potential.